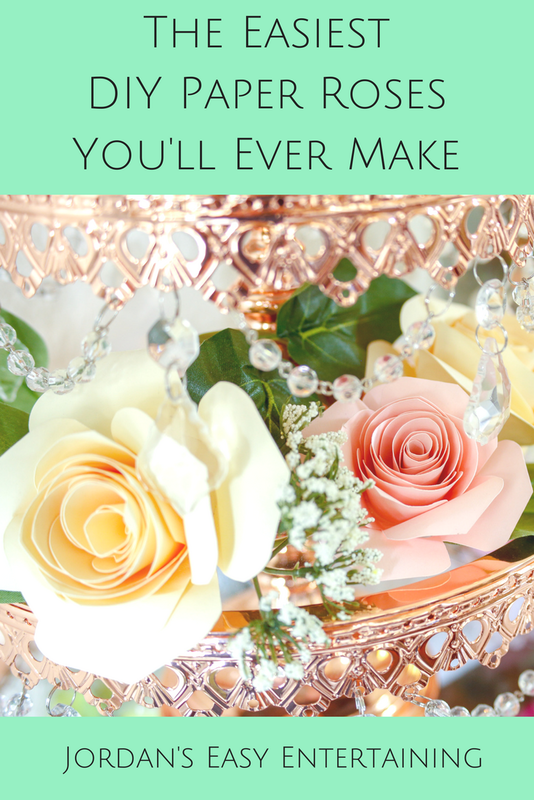 DIY paper roses are such an easy and inexpensive way to add a touch of glam to your party decor. 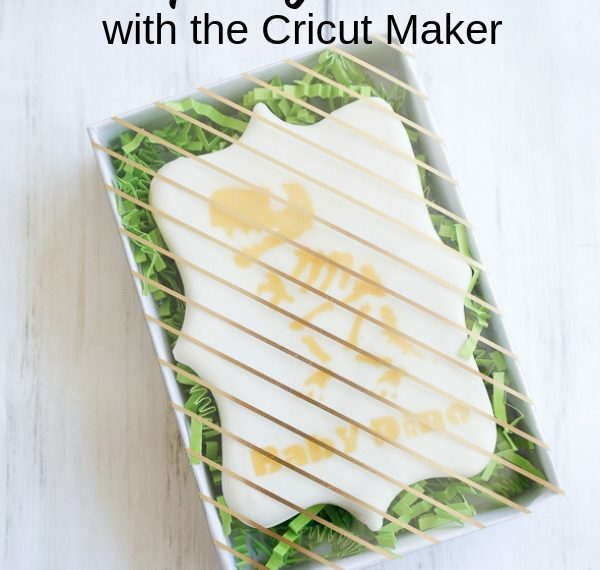 Want to see how are easy they are to make? Step 1. Cut out a paper rose and remove it from the mat. Step 2. 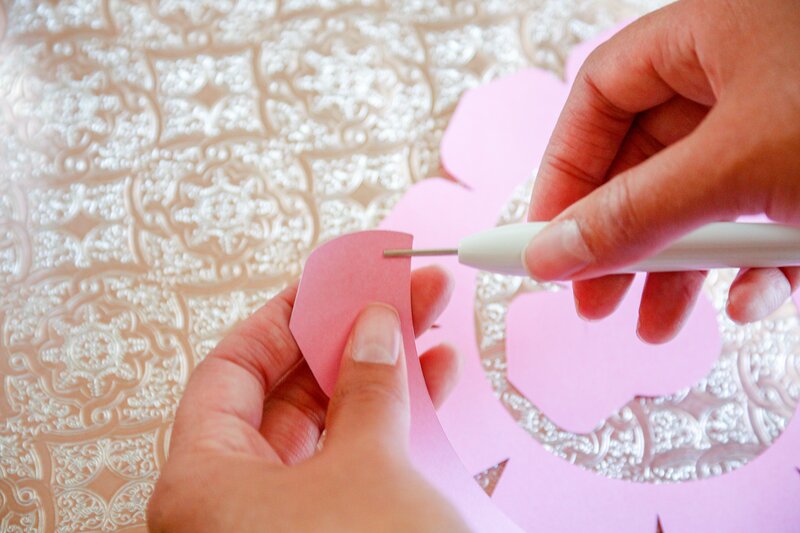 Starting with the end of the paper rose, use the Cricut quilling tool to start wrapping up the rose tightly. 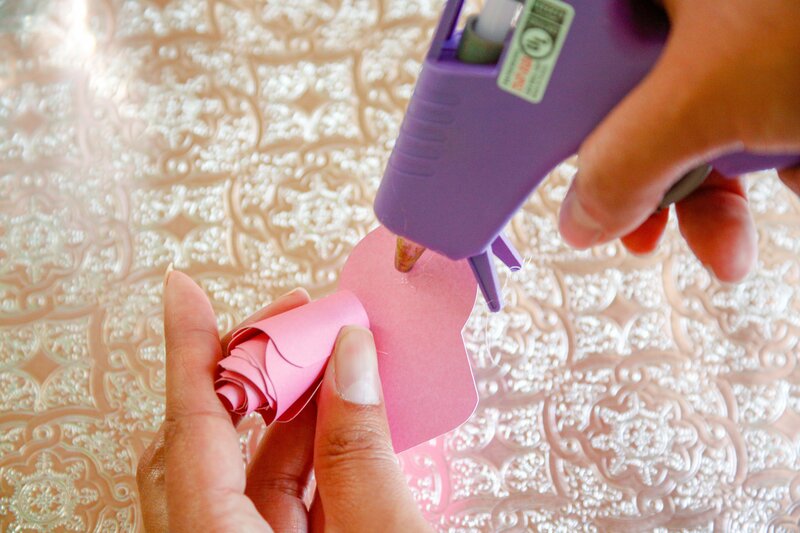 This tool will make a HUGE difference to how fast and tight you can roll up your paper rose. Step 3. 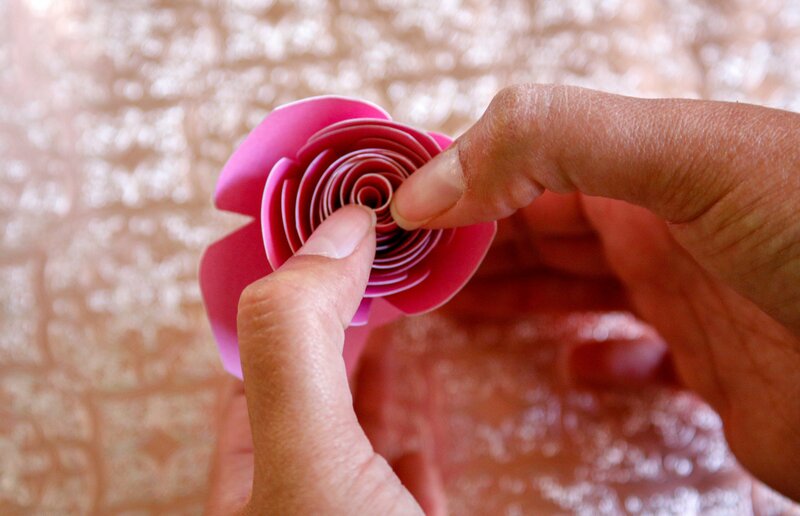 Use hot glue to cover the circular part of the rose. Step 4. 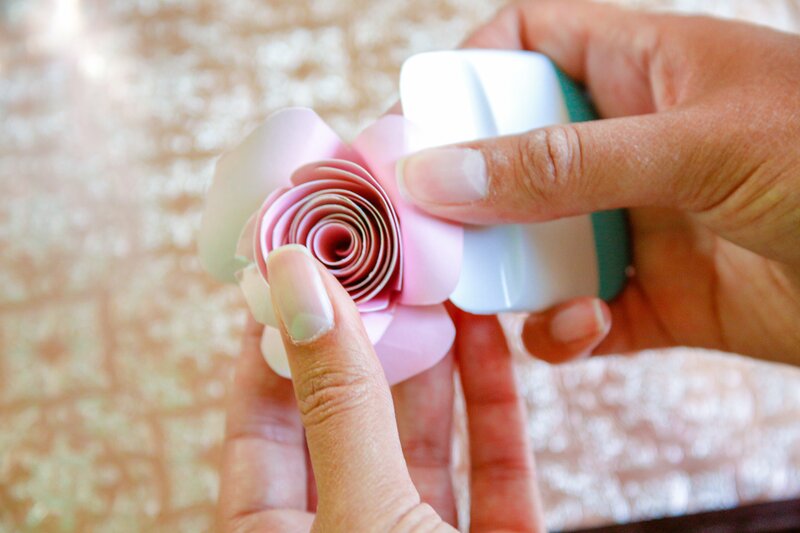 Let the rose unravel slightly and press the bottoms of the petals into the hot glue. Step 5. 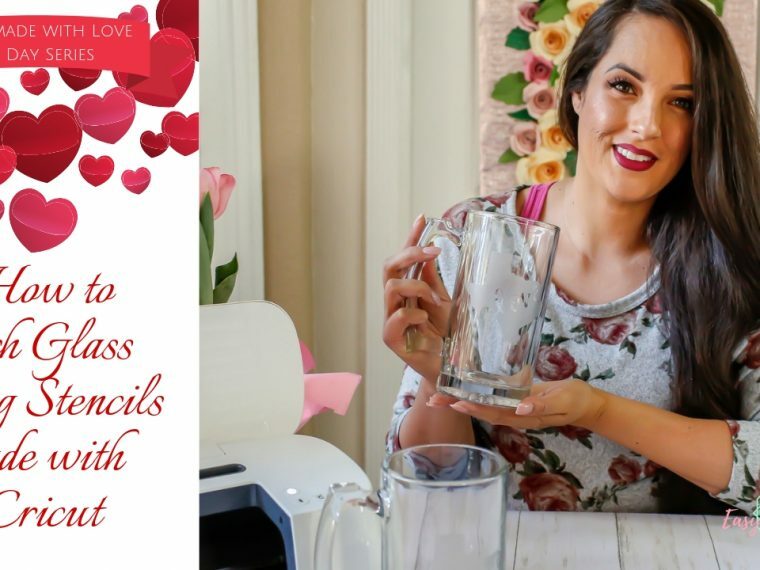 Use a straight edge (the Cricut tools scraper works great!) and curl the outer petals of the rose. 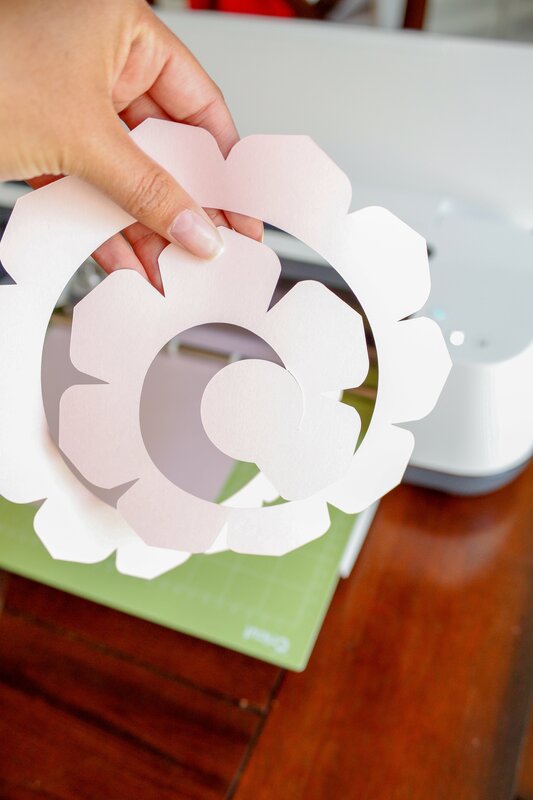 These diy paper roses take about 4 minutes each to make from the beginning of the Cricut cut to curling the petals. Since I made close to 200 of these roses, I made them in stages. I cut out about 20 roses at a time, which went relatively fast by having two mats ready. As soon as one mat was finished unloading, I loaded the other one and removed the rose from the first mat while the second was cutting. Then to wrap the roses up, glue them, and curl the petals took about an episode of Once Upon A Time to finish 40. It was a great excuse to sit and indulge in one of my favorite guilty pleasures. But since I was very distracted by Captain Hook, I probably could have finished an additional 20 in the same hour. I started making these diy paper roses because my brother-in-law and his new bride got married a couple of months ago by the justice of the peace and asked us to host a casual reception in our backyard. These two are the sweetest people you will ever meet, and they didn't want anyone to make a big fuss or go too far out of the way. 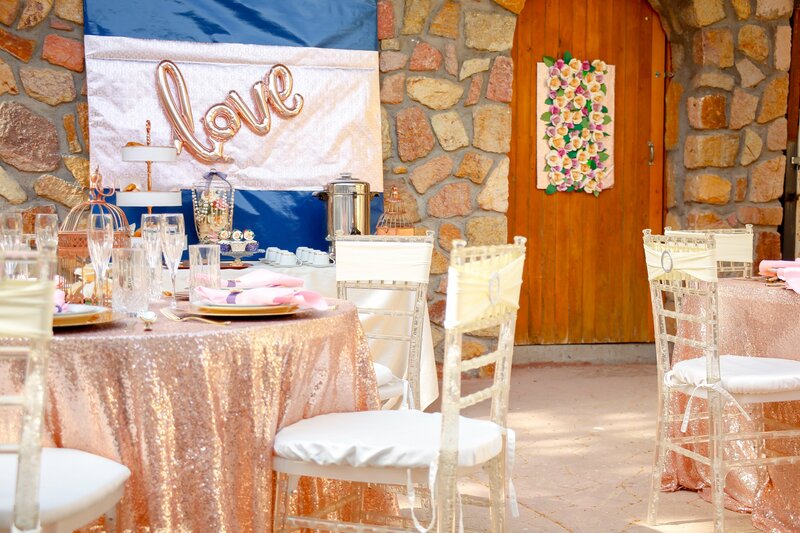 So, I knew I couldn't go overboard with expensive wedding decor, and figured they wouldn't object to a lot of diy projects to turn my backyard into a wedding party. 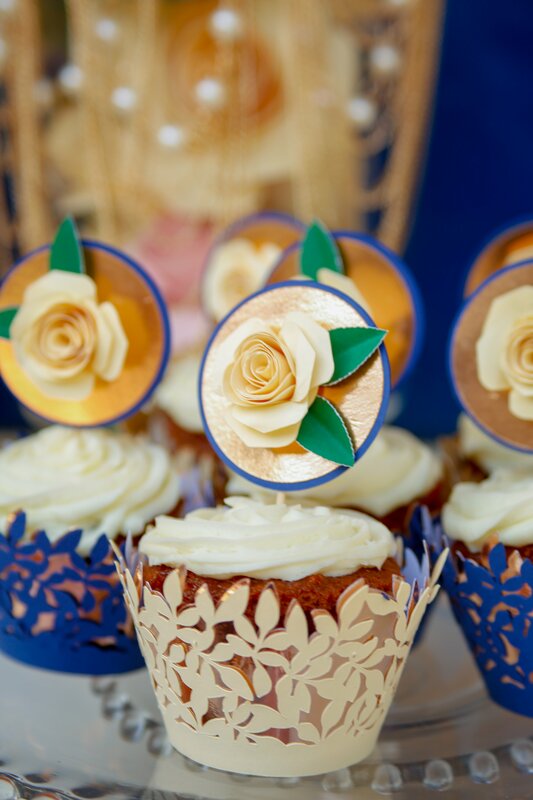 These diy paper roses were spread through out the party and they looked really pretty. I mentioned in my Mother's Day Brunch post that a lot of people at the wedding reception thought the paper roses were real with the way we had the lighting set up. I did quite a few diy projects for the wedding party that I'll be sharing with you soon, but here's a sneak peek. Did you like this tutorial? 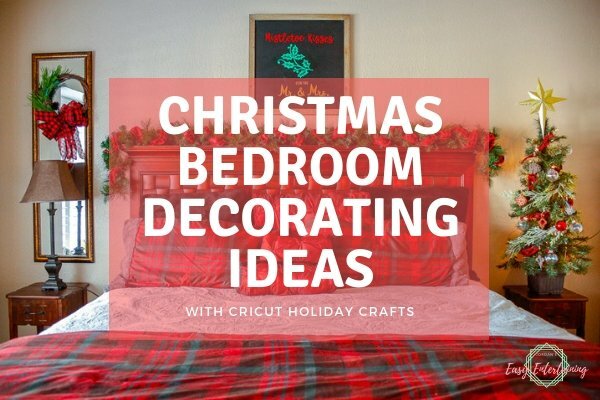 Sign up for my newsletter for more fun projects like this and to receive exclusive content straight to your inbox! I love how the paper roses turned out. Since those two parties that I used the diy paper roses for, I've incorporated them into my Spring home decor. 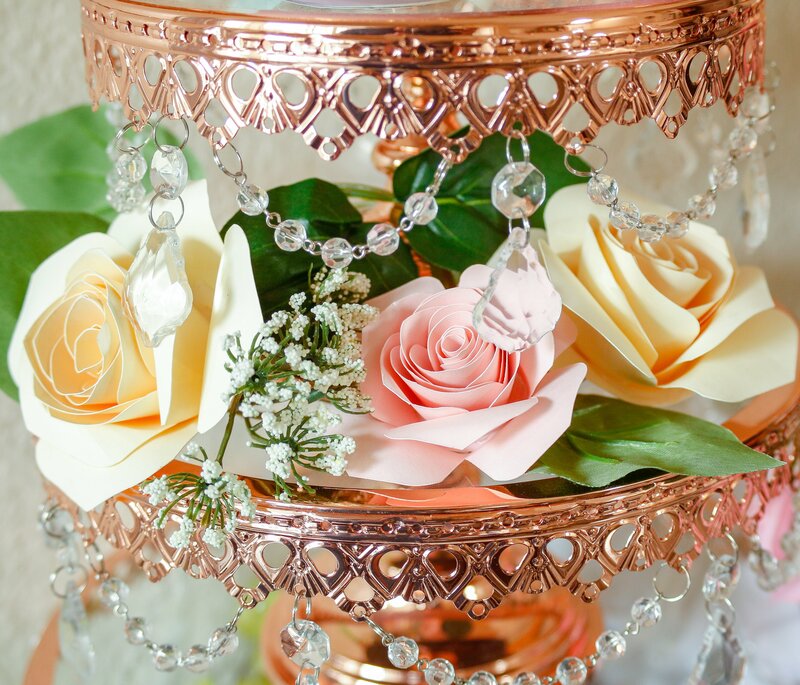 Right now, some of them are sitting on my beautiful new rose gold cake stand from Almafi Decor in my kitchen. Jordan! These turned out so beautifully! I’ve struggled with making flowers in the past and it turns I’ve been doing it wrong! Thank you for the video. It’s such a simple thing to mess up! 🙂 Ha ha. But I did. You are so sweet to put together this beautiful reception for your brother-in-law. And I’m also a big fan of Captain Hook…I mean, Once Upon a Time! So cute! 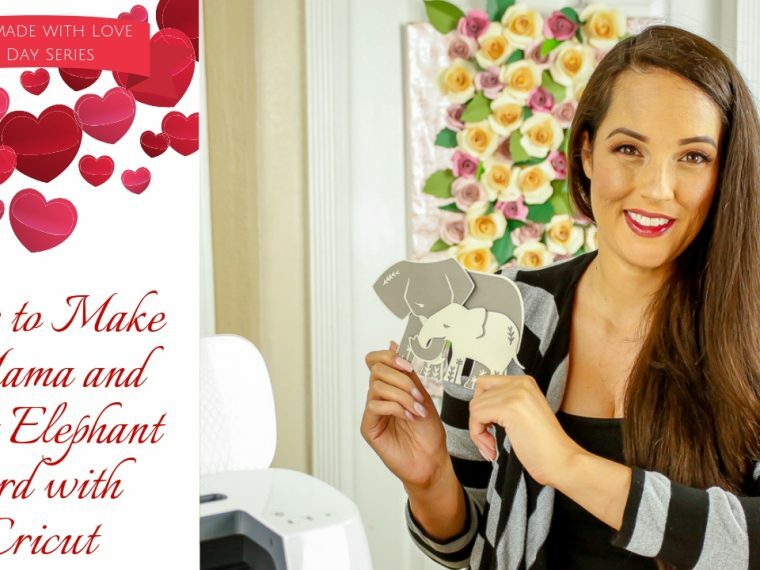 Where can I find the rose cut file? 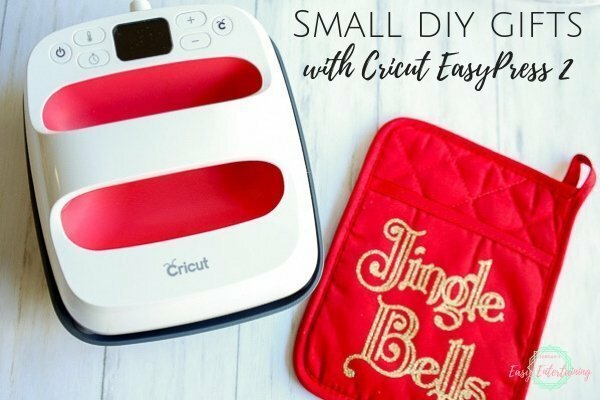 I’m a newbie Cricut owner!